Wouldn't your friends and family be wowed by receiving a handmade birthday card, handmade by you. 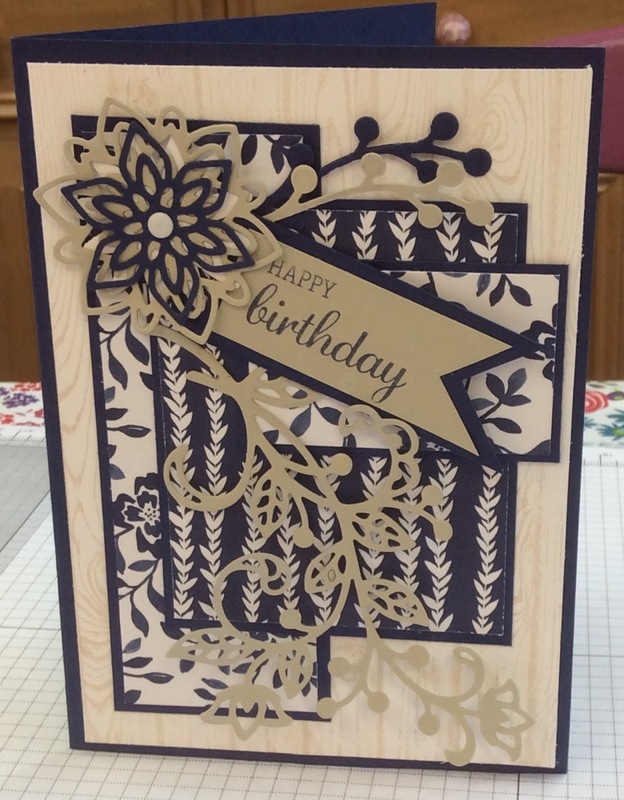 In this new class you will learn all about the art of using rubber stamps to create beautiful birthday cards. The classes will run fortnightly for 3 months. The projects will all be birthday card related but for every member of the family. 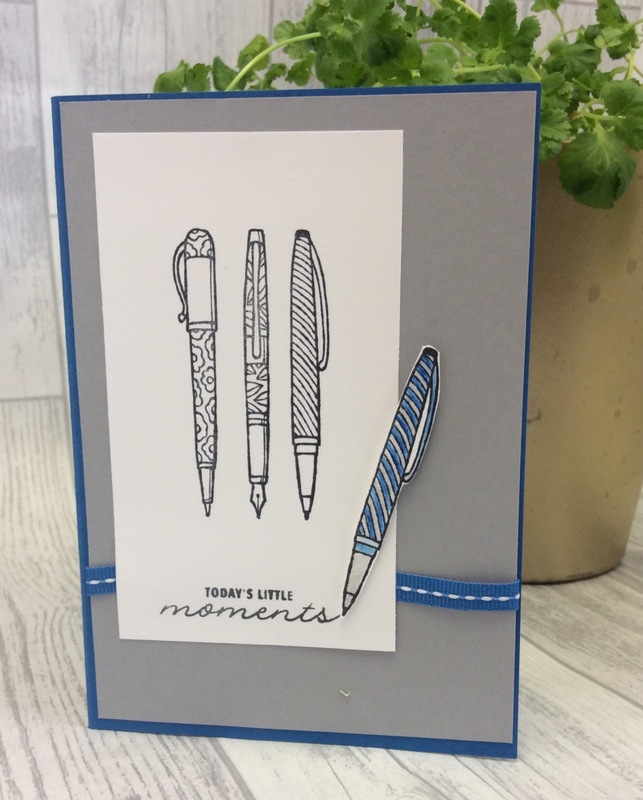 In the first class we will be creating a card, a matching tag and decorating an envelope. Each week there will be a new skill. The week before last in my Tuesday class we completed the Tin of Cards, this is reduced by £10 in the retirement sale which is a bargain. I love the tin they come in too. Its blue and white striped. 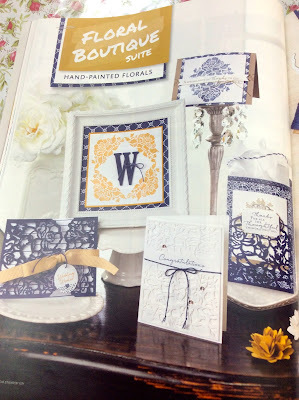 I am still offering a free class to anyone who buys this Kit to make it up, I have the stamp set and the ink colours! If you do order from the online shop and spend between £25 and £150 please use the hostess code, Then in June I will send you a small bag of stampin up goodies. This is another image from the 'Crafting Forever' stamp set. I really like this as I used to write a lot of letters. I went to boarding school for over 10years and wrote home every week, this gave me a love of letter writing, sadly something we don't do anymore. There is something very comforting about a well weighted ink pen. I have fussy cut the pen and coloured with those wonderful watercolour pencils once coloured with the pacific point and smokey slate. then very lightly water coloured. I have then used the wink of stella pen on the smokey slate areas to make them gleam . I was looking for a sentiment that was something like - just a note..... but came across this in 'Bookcase Builder' Using the marker pen to ink it has enabled me to split it for the front and the inside. I have kept the whole card very simple. I will be back in a few weeks with some multilayered cards using this set. Remember to use the hostess code if you order is over £25 and under £150 then in June I will send you a small bag of Stampin Up goodies as a thank you. I need to work out how to put some grass/leaves in there. Those that are there are done with the bird punch and are not the correct shape. Any suggestions welcome, I have a couple of ideas its just finding the time. Don't forget its the last few days now to get any of those bundles from the current catalogue, when they carry over into the new catalogue they will no longer have the 10% off. I'm aiming to put an order in on the 30th. I am really torn between the Umberella weather together or the Jar of love bundle. Which would you go for? Don't forget the hostess code if your order is over £25 and below £150. In June I will send you a small bag of stampin'up goodies. And another card made for my basket of Fathers Day cards. 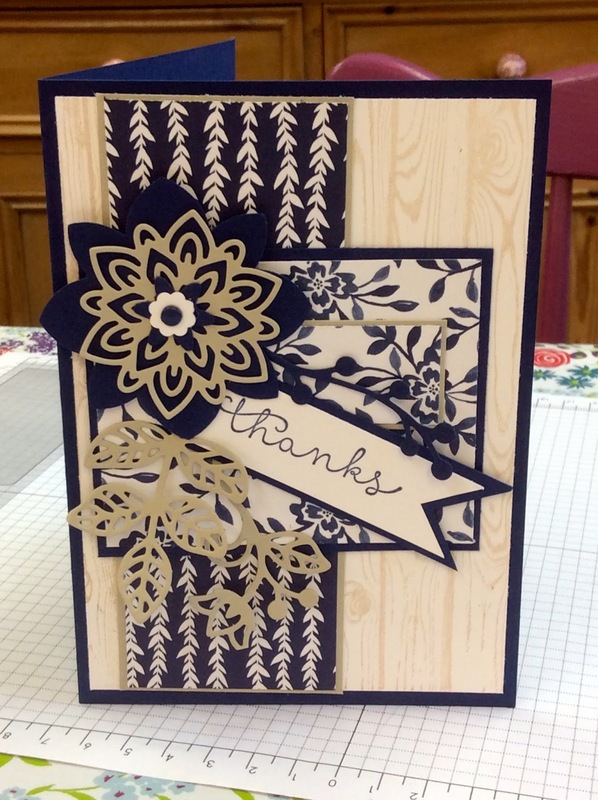 Many of my customers who come to class say that doing cards for men is difficult. I quite enjoy them as I like the colours usually used. 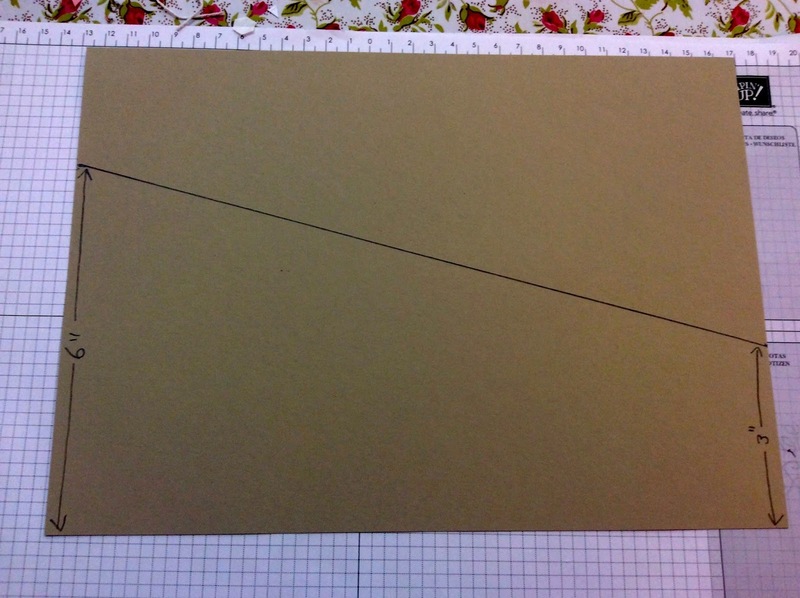 When making this card I have used some old designer paper. But how many men out there have shirts in this sort of check? The stitching has been done by hand with a marker pen. The sentiment does lift out of the pocket and buttons are out of my large jar. I have a few more of these in different checks, I'll show you another day. The inside is blank. Watercolour pencils and a sneek peek! Those of you who read my blog regularly know that I am a great fan of the watercolour pencils. Here i have used them with another stamp from the 'Crafting Forever' stamp set. I think this set is going to be a favourite of many. I have used the grey and brown pencils for the handles and knobs but the brushes I have used each of the other coloured pencils. They very lightly water coloured them pulling the colour out of the brush. 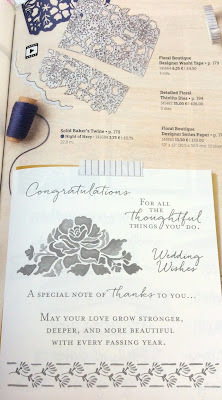 This is stamped and coloured on the Stampin'Up whisper white card so you can't use much water. Take care, otherwise it makes the card going furry! For the plant pot I have stamped on some old Dsp then fussy cut. It could have been done on a patterned piece but I wanted to concentrate the colour on the brushes. So all the rest is very neutral. I know I am a bit early on this one, but June is a busy month. For a start I have 130 table place name creations to make for my youngest who is getting married in the summer. We haven't had a family wedding for about 15 years so very excited. I will show you what after the event. Back to Fathers Day I am planning on putting these in my Etsy shop, thats another reason for getting ahead. She leant me her nailed it set which I hadn't bought as it just isn't my thing. I know its not carrying forward but there is still time to use it. Here is my first make.... a bit of a joke. I drew the squares on the backboard, punched the holes and daubed. Then I looked again and decided to leave the lines, its what ours in the utility room looks like. I wanted to put something on for clips but just couldn't find something that would work. The card is blank inside. What do you think? I just couldn't resist. I love the new in colours, here they are with a sneak peek at one stamp in the 'Crafting Forever' stamp set. I have coloured the stamp with the marker pens to get this image and the stamping was by eye, no magic machinery here! The wording is evidence of that!!! I did think of printing the sentiment on the computer, trimming and adding it but that Labeler alphabet was calling to be used. Its just not as easy as it looks or maybe I am just a bit cak-handed. Anyway I love this one. At the end of the 5 months you would have everything for all of the in colours. PLUS each month one person would be the hostess and be able to choose £15 of goodies including the hostess stamp sets from the catalogue for free. When it is your month or on other months you would of course be able to order other items. I hope that makes sense, if not email me. You will need to be able to collect or I am happy to post out at postage cost. Contact me before the 15th of June to take part in this special offer. I just love this new in colour. I wasn't sure at first but you will notice it is cropping up in a lot of my makes now. The butterfly basics stamp set is carrying over into the new catalogue which I am really pleased about. I love the fern. Two cards two very similar but not identical colour ways. can you tell what other colours I have used? The sentiment on the second card looks a bit washed out and I should have re-stamped it but in reality the sahara sand looks lovely and soft. Card 1 uses, Old Olive, Blushing Bride, Crumb Cake, Lemon Lime Twist. Card 2 uses, Pear Pizzaz, Pink Pirouette, and Sahara Sand. Both really lovely. Firstly I must apologise for not blogging for the last 3 days. No excuses, sorry. Today I am starting with makes using products from the new catalogue. Its only 2 weeks away so exciting times. 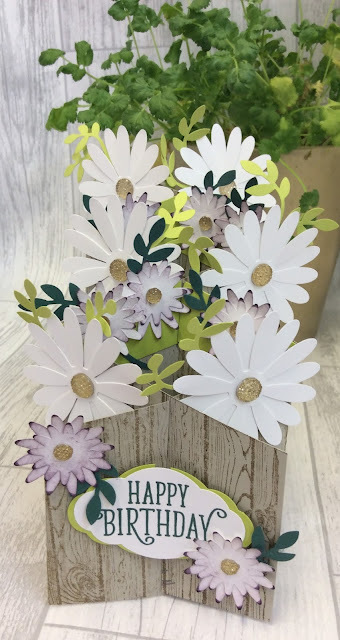 I have had a number of requests for instructions for this cascade card so it seemed ideal to start with the Daisy Delight stamp set. 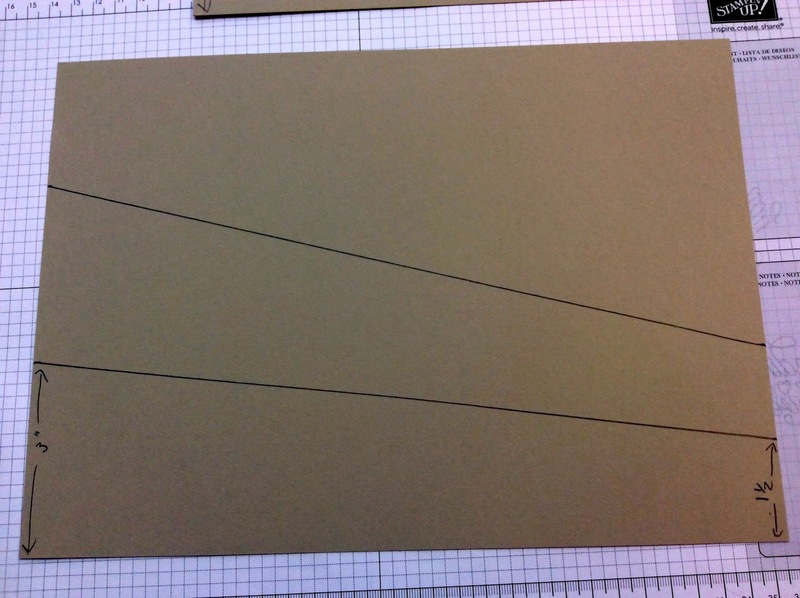 Two sheets of A4 card, landscape, measure 6" up one side and 3" up the other, join marks. Repeat on the second piece of card. Then mark 3" and 11/2" up the ends and join. Repeat on second piece of card. Ensure your horizontal lines slope from left to right then starting on the left mark vertical lines at 2" intervals. Cut along the top sloping line! 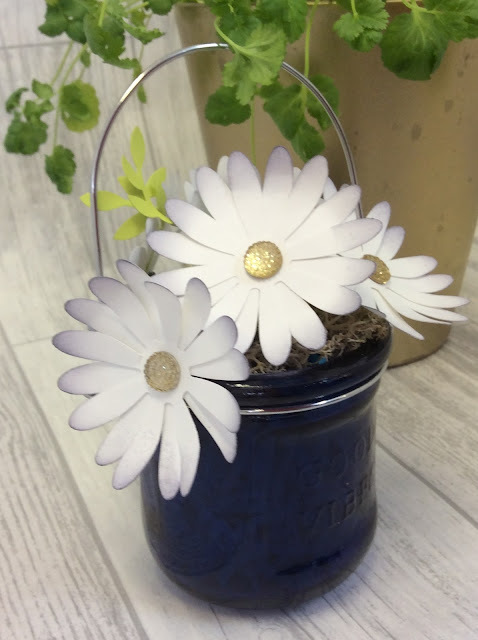 I have stamped both sides of mine with hardwood and decorated with punched Daisies and also used the retiring Blossom Bunch punch to make the little daisies. Decorate as you wish. 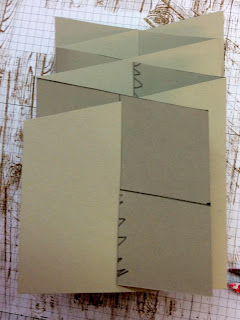 The lines can be rubbed out before stamping. 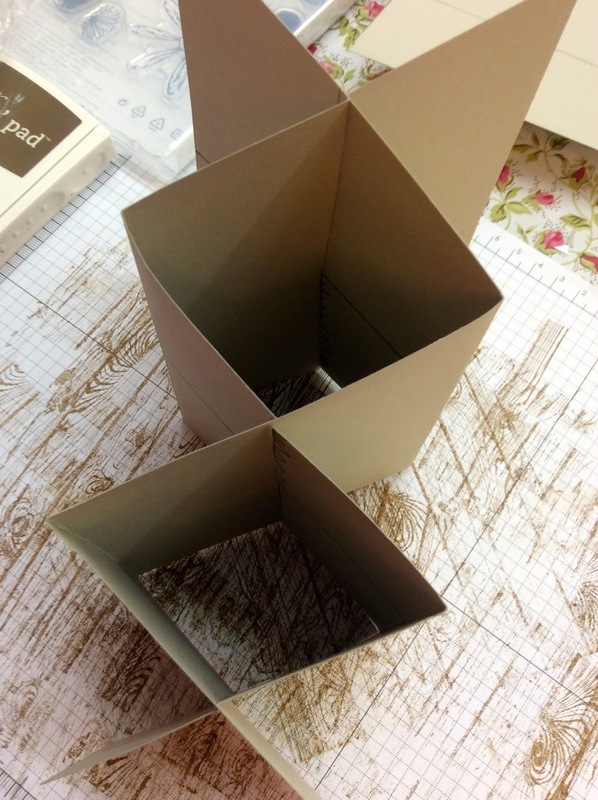 Once you have made one you won't need to draw all the lines in! This is the final card we make and I think the most stunning. Again we heat embossed, this time with silver embossing powder. This one really is a beauty. The picture is a little dark, the base card is Smokey Slate, which is a light grey. The flower has been stamped three times. Two of the flowers have been fussy cut, with fewer leaves left on the third one then the layers attached to each other with dimensionals to give that 3d effect. The flower has been coloured with the watercolour pencils, a little melon mambo and a lot of white. Very little water has been used as the whisper white card is not designed to take a lot of water. So lots of white pencil laid down then a little water to blend with the colour. It does work. The sentiment if from the Butterfly Basics, another set that has carried forward into the new catalogue I'm pleased to say. The green matt layer is Old Olive which matches the green leaves below the flower. It is a lovely fresh colour when used with white. I have added a piece of white ribbon but green or pink would have looked just as good. When you shop online use the hostess code below then in June I will send you a small gift of Stampin'Up goodies as a thank you. So yesterdays card was pretty and pink, today using the same stamp set, heat embossing one stamp I have gone for something easier to use for those men in our lives. I love this technique of stamping two layers at the same time then splitting then with a thin slither of colour. For this card I have used the new Lemon Lime Twist, its really lush. I can see it being very popular. The leaf has then been stamped onto some Always Artichoke with versamrk I have then used a versa mark pen to add more detail to the leaves. The leaves have then been embossed with clear embossing powder and fussy cut. The sentiment is from the Watercolour Wings set, stamped in the Lemon Lime Twist. I love this card. 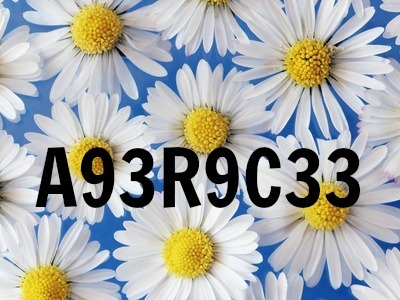 If you shop online please use the hostess code below if your order is between £25 and £150 then in June I will send you a small goody bag of Stampin'Up products as a thank you. Something a bit different today. When was the last time you looked through your shelf of stamps to see what you have used the most and what you haven't used very much at all. I have had a really good clear out, over 30 stamp sets ready for my new catalogue launch event, all orders in June get a free stamp set. When I looked at what was left that was carried forward into the new catalogue I realised it was many of the stamp sets I haven't used very much. Remarkable you is one of those sets. The group who come to class on the second Wednesday of the month asked to do some heat embossing. We haven't done that for a while and I took some time deciding what to do. This set has been brilliant for heat embossing and the cards are stunners. This is the first one. The detail for the card. Heat emboss with white. The petals are coloured with the chalk pen and the watercolour pencils The Flirty Flamingo card base really pops with the matt layer of pink pirouette. The layer that has been stamped is crumb cake. If you do shop online and spend between £25 and £150 please use the hostess code below then in June I will send you a small packet of Stampin'Up goodies as a thank you. First bundle up is the Floral Phrases. If you have a wedding coming up in the next 12 months this is a must. 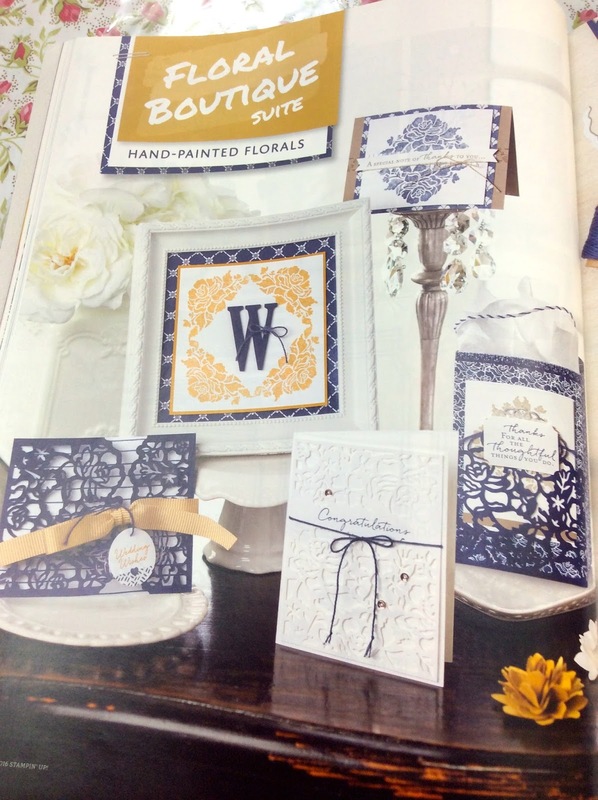 The dies are delicate and intricate and so pretty make great cards and invitations. The stamps don't match the dies which is unusual but match the dies in style. The sentiments are really good and not too mushy, (is that a very Yorkshire phrase?) Love this set, was one of my first buys this time last year. The second bundle today is Jar of Love. Now this is the one that I have dithered about. 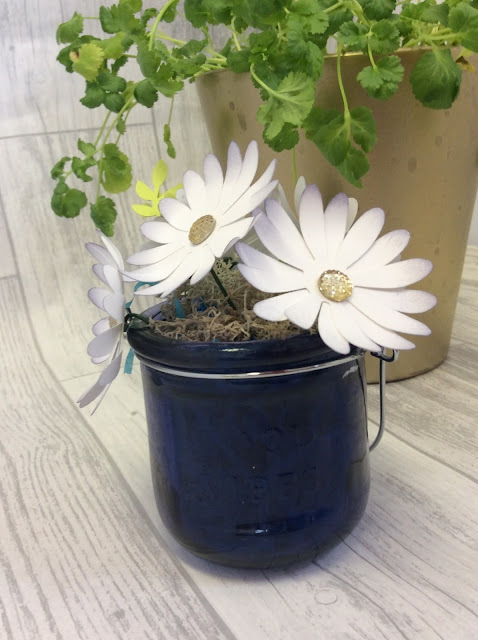 We don't all have the same taste, I love the jars but not the die cut flowers from this set. I do have friends that have used this set on almost a weekly basis! Its a marmite one. But with 37 stamps in the stamp set and 17 dies its a big set with 10% discount at the moment. You need to look at it carefully and decide if its for you. These images are from the current catalogue. Third up today is Flourishing Phrases. I confess I have bought the dies but not the stamps. The sentiments in the stamp set are not my thing but the dies are beautiful. This is another set I would use for wedding cards. I think this set of dies will get quite a lot of work over the next few months. If you spend between £25 and £150 please use the hostess code below then in June I will send a small goody bag of Stampin'Up goodies as a thank you.